“Would you exchange your detergent XYZ with two buckets of a detergent whatever it is?”. This catchphrase has been with us for many years as an evidence of a race to the improvement of a product that increasingly has become the icon of the modern world, clean and increasingly distant from the natural environment. The picture on the right gives us an idea of the proliferation of substances designed to remove dirt in the most varied situations. But what differs and what is common to all these products? And how did that come about? To clean something you have to contaminate someting else. If the dirty thing is the water, it can be removed along with the dirt and the goal will be reached. The problem then becomes: how can we make sure that the most amount of dirt can be dissolved, or at least incorporated, into the mass of water? 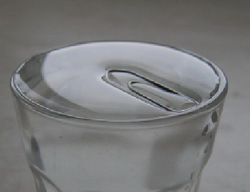 There are mainly two obstacles to overcome: one is the surface tension of the water itself, due to which the water could not wet at all the surface that you want to wash. And the other is the not solubility of fatty substances, which tend to remain aggregated among themselves and well separated from the water with which we would like them to go away. Surface tension is the physical phenomenon why the molecules that are found on the surface of a fluid, at the interface with another substance, solid or gaseous, tend to remain cohesive with the liquid mass forming a kind of a film that prevents the dispersion. This is not a real film, but of a buildup of potential energy that keeps the molecules linked to each other. 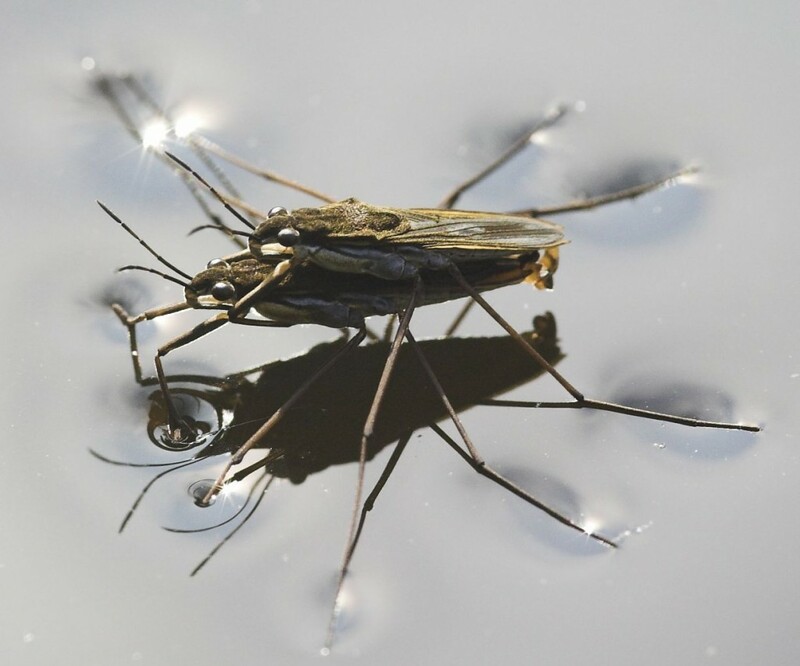 The result is that, to break the surface of a liquid, is required a certain force, and certain insects that are light enough, can take advantage of this, thus becoming able to walk on the water surface of lakes and rivers. With some care, we can put even small objects like coins, paper clips, pins, etc.. on the surface of the water contained in a glass without them to sink. So, in general, the first task of a detergent is to decrease the surface tension. The water should easily adhere to any surface, seeping into every crevice, in order to wet the object and reach the dirt. The main component of a detergent is therefore a surfactant. That is a substance capable of modifying the surface tension of water in which it’s melt. The surfactant also allows the water to attach to dirt and to oily fat which is often what we want to get rid of, being usually the culture medium for micro-organisms of all kinds. The mechanism of action of a surfactant is due to the particular characteristic of the molecules that compose it. The surfactant is normally a linear organic molecule in which can be identified a lipophilic “tail”, which shows affinity for fat, and a hydrophilic “head”, that has an affinity with water. When we introduce a surfactant in water, it binds to grease through its hydrophobic tails while the heads are attracted towards the aqueous mass with the result that the fat particles are incorporated within a kind of a bubble, whose surface is formed by the hydrophilic heads. These particles now are free to move in the fluid hence be removed with it. The following illustration shows the process described above. 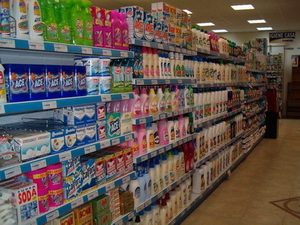 In modern detergents surfactants are flanked by several other substances that help the compound to specialize in the removal of particular types of dirt. We will see some of them in the following paragraphs.